Immunophenotyping by flow cytometry provides a powerful tool for profiling immune cell subsets across species. Significant information can be gained in many studies by identifying lymphocyte subsets and profiling how these change in your system. 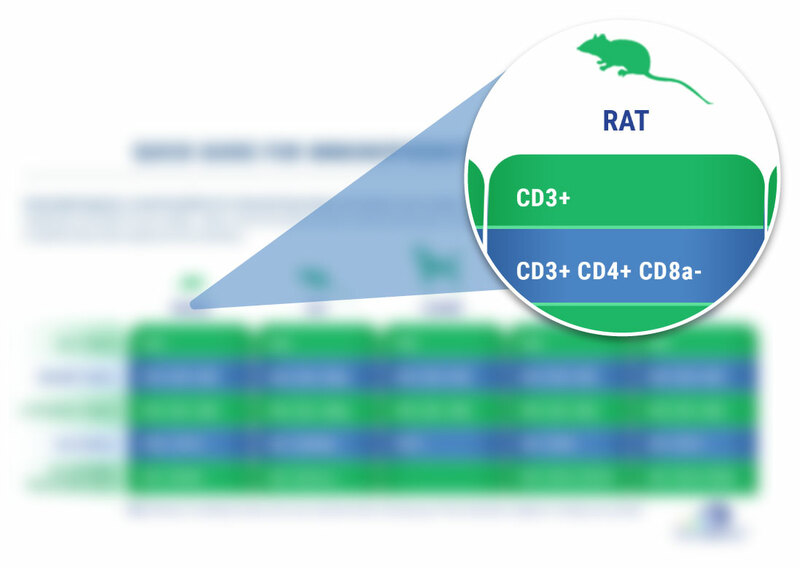 Use our quick guide to identify the primary lymphocyte subset phenotype in species commonly used in research and discovery.